It’s one of the most anticipated and enjoyed events every year in Europe. It is also celebrated in a variety of ways around the world, including right here in the Smoky Mountains at Ober Gatlinburg. For the last five years, Oktoberfest at Ober Gatlinburg has been one of the best events in the area. The event features many of the time-honored traditions of the German festival, except its right here in the beautiful Smoky Mountains. You can find authentic German cuisine, outdoor games and live entertainment from September 26 through November 2. 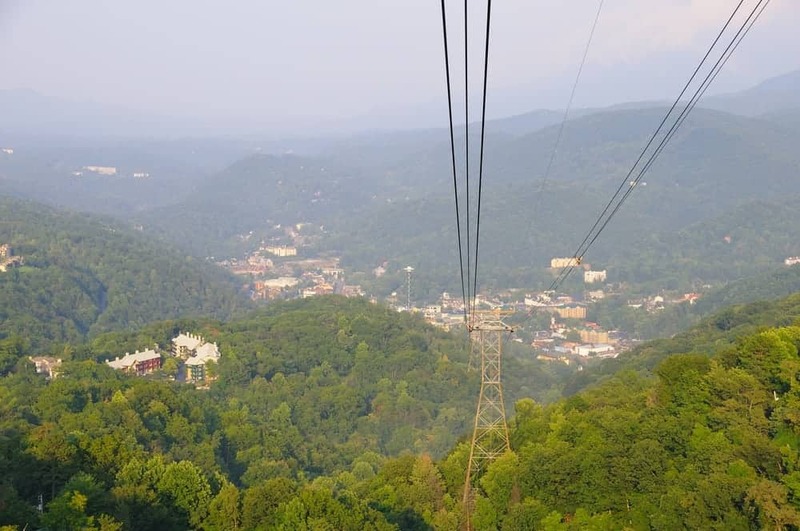 The event is located at Ober Gatlinburg, which is accessible either by taking the Aerial Tramway from downtown or by taking a scenic drive up the mountain to the resort. One of the best parts of Oktoberfest is the traditional food that is available. Vendors will be on location providing German-style bratwursts, pretzels, schnitzel, schwarzwalder kirschtorte as well as a variety of other tasty items. All of these are prepared in a traditional German way so as to best give you an authentic Oktoberfest experience without even being in Germany! Another popular aspect of Oktoberfest is the wide-ranging selection of adult beverages. For guests 21 years of age and older, there are a variety of German ales as well as German wines available for purchase. The Bier Garden will also be available every Thursday, Friday, Saturday and Sunday during the festival for additional varieties of seasonal favorites. Monday through Thursday: 1p.m. and 5 p.m.
Friday through Sunday: 1 p.m., 3 p.m., 5 p.m. and 7 p.m. Seating opens up approximately 30 minutes before each show, so schedule your arrival depending upon where you want to sit. What is Oktoberfest a celebration of, though? Oktoberfest finds its roots in a celebration of the marriage between Crown Prince Ludwig I of Germany and Princess Therese of Bavaria in October 1810. Royal weddings were (and are still) cause for great celebrations. The initial celebration included food, dancing, music and beer. The celebrations that have followed are done to commemorate the original wedding by reliving the original wedding party from 1810. As the legend of and style of the celebration was passed from generation to generation the festival became what we know it as today. The Oktoberfest celebration at Ober Gatlinburg is a unique opportunity to experience a traditional German celebration for the whole family. As you make plans for your next Smoky Mountain vacation, be sure to include an afternoon to experience what Ober Gatlinburg has to offer this fall season. This once-a-year German festival is a tremendous opportunity for young and old alike to create shared vacation memories. Take a look at all of our two bedroom cabins in Gatlinburg, only a short distance from Ober Gatlinburg. These are great cabins for families who are visiting the area. They have a lot of space, perfect for having privacy as well as time together.